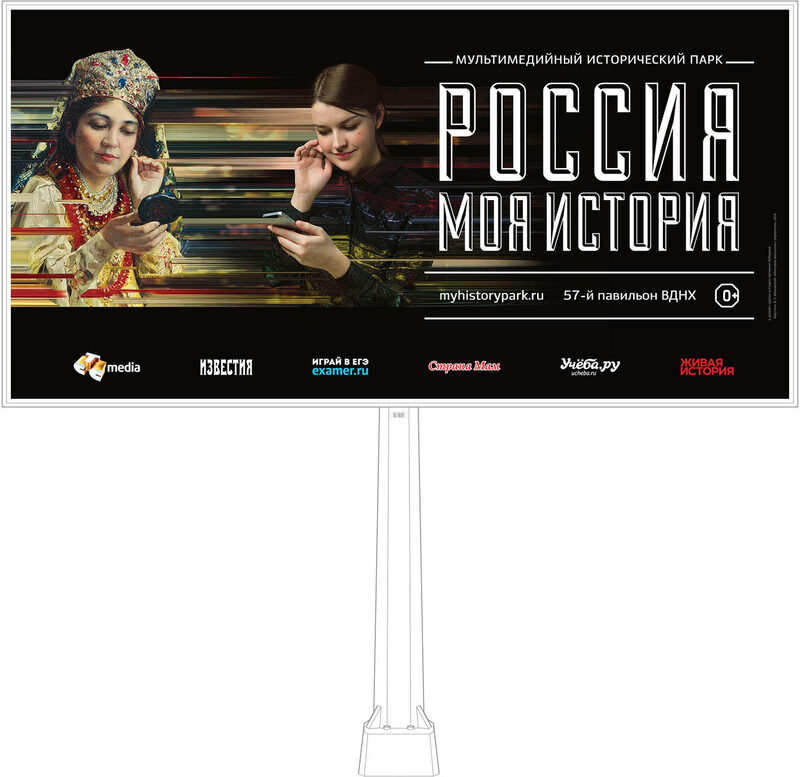 to create an advertising campaign that would encourage to explore Russia’s history. 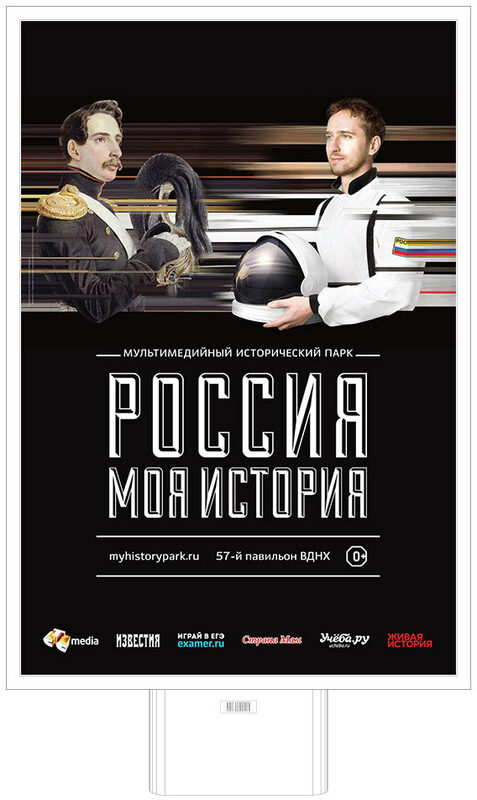 Russia — My History historical park is a large scale exhibition designed to stimulate interest in Russia’s history and transfer the stories of the long gone days from boring textbooks to the exciting world of animation, 3D models and digital technologies. The exhibition opened in VDNKh’s restored 57th pavilion spreading over 2 levels and 22,000 square meters of space. 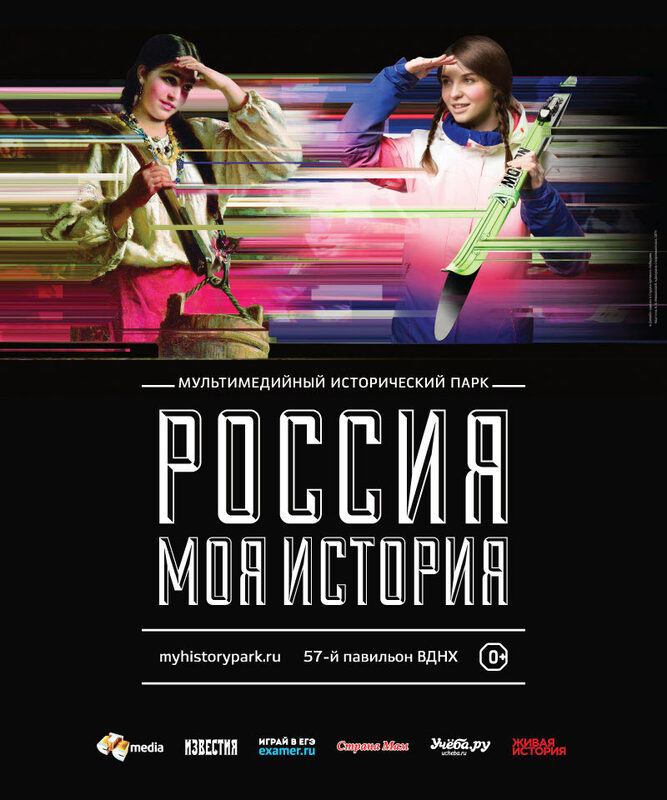 An advertising campaign showing the ties between the past and the present was created for the park at the studio. 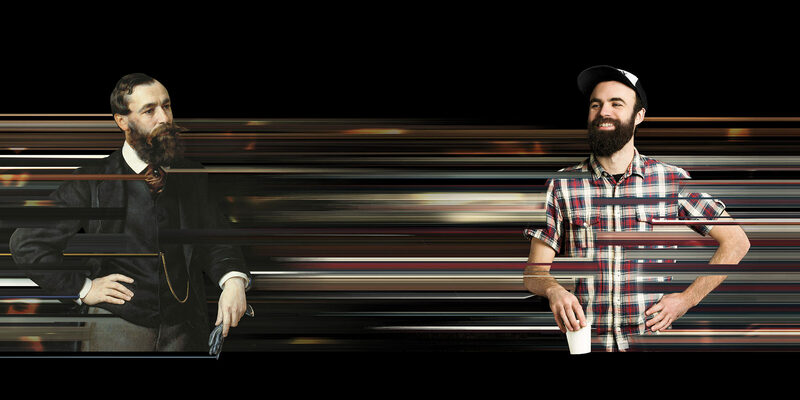 Characters of famous artists meet their modern counterparts in advertising materials.